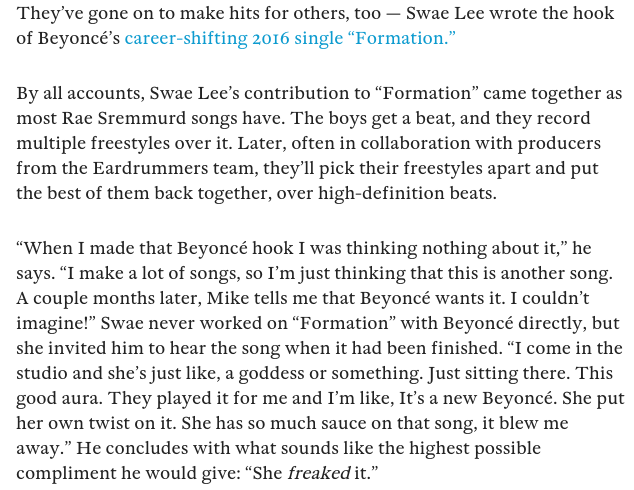 In an in-depth cover story penned by Fader EIC Naomi Zeichner, Rae Sremmurd‘s Swae Lee expounds on the story of how he landed co-writing credits on Beyoncé‘s “Formation.” Shortly after the song’s release back in February, Mike Will Made It and Rae Sremmurd began hinting at their heavy involvement in the production of the record–Mike Will produced the song–and when the official liner notes for Bey’s April album, Lemonade, were unveiled, sure enough, Lee had been credited for writing on “Formation,” by far the album’s biggest hit. 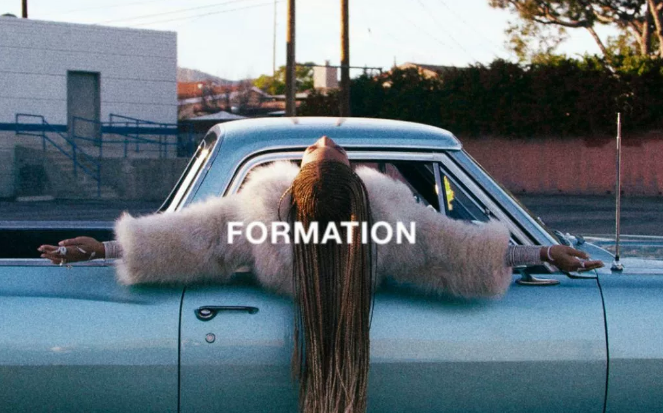 When the groundwork for “Formation” was initially being laid, Swae Lee had yet to meet Beyoncé. In fact, the song was birthed out of him freestyling over the beat–which the Sremmurd brother often does with new instrumentals–and Bey liking some of what she heard when Mike Will played it for her. Just 24 hours after she dropped “Formation,” Beyonce and her dance troupe, dressed as Black Panthers, performed the song during the Super Bowl 50 halftime show. Since then, ex-NYC mayors, presidential candidates and police departments in major cities have all called out the song for being anti-police and irresponsible. It also shot up the charts, and peaked in the #10 slot on the Billboard Hot 100. Not bad for some strung together freestyles.